Recently Lisbon's Town Manager proposed the new 2018 municipal budget. This proposed budget is a 19.2 % increase over last years Town Budget. Let me put that 19.2% budget increase in perspective. If you presently are paying $2600 dollars a year in property taxes a 19.2% increase would make this years taxes a few cents under $3100 dollars. The Town will argue that they are working hard to reduce the increase and within a month or so they will come back with a final increase probably somewhere between 10% and 12%. They will also tell us that they saved the town 8% to 10% on our taxes. They will equate an increase of up to 12% as a 8% savings to the town. Don't let them fool you. A reduction on an inflated proposed budget isn't a savings it is AN INCREASE OVER LAST YEARS BUDGET. This town is trying to hide its debt crisis by manipulating the language and exaggerating the initial proposal. By continually increasing Lisbon's taxes we are sealing our own fate. It's like a snowball rolling down hill continually increasing in size and momentum. The higher our taxes go the harder it is to attract the businesses that could extricate us from our financial problems. At some point on this journey we reach the point of no return. Lisbon is now approaching that point. We will, if this proposed budget passes, have the highest taxes in the County and one of the highest in the State. In my humble opinion Lisbon is careening down the bankruptcy highway at an alarming speed. 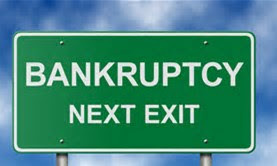 If we continue along this fiscal path we will inevitably end up in chapter 9 BANKRUPTCY court. You are the only one that can put the brakes on this runaway spending. Call your Councilors and demand they cut our taxes.